*Grand Crowne Resorts - Carriage Place* is a perfect fit for multiple couples or families. Only one block from the famous Titanic museum and Stonehill Winery, the resort is conveniently located near all Branson attractions. 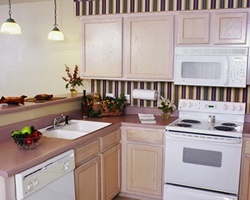 Accommodations are equipped with a full kitchen, private deck, and washer/dryer. Units have lock-off bedrooms specifically designed to better serve guest requests. The Carriage Place offers a family activities center, game room, tennis and volleyball court, playground, indoor and outdoor pool, and pavilion. Fabulous resort in exciting Branson! Floating week! Buyer may receive a title fee credit, inquire for details! Lovely resort for your fun-filled Branson vacations! Just minutes from outstanding attractions! Make an offer today! Resort offers a comfortable stay! 306,000 points every odd year! Buyer may receive a title fee credit, inquire for details! Fun Branson resort! Large lockout suite! Owner has prepaid closing credit; please inquire for details! Nine thousand or Best offer! Great location within walking distance to wineries, museums and much more! Buyer May Receive A Title Fee Credit, Inquire For Details! Ability to separate unit for privacy! Bring family and friends along! Buyer May Receive A Title Fee Credit, Inquire For Details! Centrally located near many attractions! Buyer May Receive A Title Fee Credit, Inquire For Details! Resort features everything needed for a great vacation every year! Buyer May Receive A Title Fee Credit, Inquire For Details! 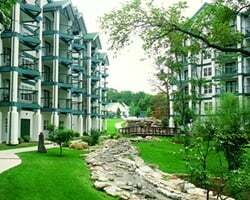 Fantastic resort near the Branson fun! Yearly usage in lovely May, Red season week! Pet friendly! Make an offer today! Fabulous resort in exciting Branson! Odd years usage in June, Red season week! Make your offer! Floating week in even years! Pet friendly resort! 930 sq. ft. Penthouse! Jacuzzi tub and washer/dryer in suite. Unit is on golf course! Week 9, Owner's Week! Price is negotiable. We would be willing to trade for like property in Lake of the Ozarks, Missouri, area. What have you got? Wonderful retreat near Branson's entertainment! Yearly usage in popular August week 32! Make an offer today! 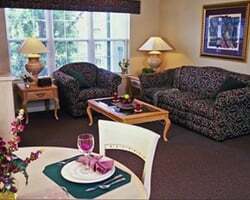 Suites have all the comforts of home and more! Buyer May Receive A Title Fee Credit, Inquire For Details! Over 100,000 points available for immediate use! Buyer May Receive A Title Fee Credit, Inquire For Details!